It’s time to take the work you’ve done to hone your book idea and discern the benefits it provides readers and create a title for your book. In previous posts, you learned how to look at your book idea’s angle and theme, benefits, and purpose. You also created a book pitch. All of these skills can be put to use in creating a title that will help your book succeed. You may already have a title in mind, but more often than not the first—or even second or third—title you come up with doesn’t represent the best title. Just as with everything else about your book project, your title must promise readers that the book you’ve written will add value to their lives in a way that they seek desperately, or that it will fulfill a desire, tell a compelling story, or in some other serve their interests. It has to answer this question: What’s in it for me? John Kremer, author of 1001 Ways to Market Your Books, recommends titles that are no more than five words “because short titles are more memorable. You can add a subtitle to give more information. Having a number in the title can be good, too—particularly the number seven as in The 7 Habits of Highly Effective People. In Write the Perfect Book Proposal, Jeff Herman and Deborah Levine Herman say a book title can be longer if the first few words “provide emotional appeal.” Book titles that evoke an emotion, indeed, tend to sell well. 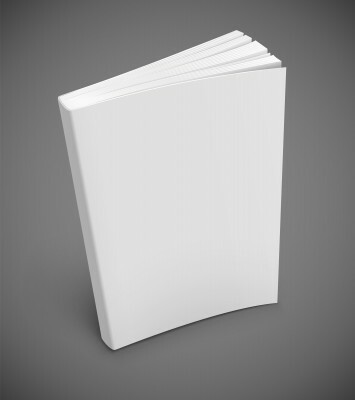 Readers must feel as if they can’t live without the information within your book’s covers. Additionally titles that create what the Hermans call “a motivating visualization” also draw more readers; if readers can “see” in their minds’ eyes the end result that will come from reading your book they are more likely to carry your book to the register. Damn! Why Didn’t I Write That? How Ordinary People are Raking in $100,000.00…or More Writing Nonfiction Books & How You Can Too! It’s possible to get a sense of their story lines or a feeling for what they might be about, especially if you know the category or genre in which the author writes. It’s also important for book titles to be “searchable” and “discoverable” on the Internet. Therefore, if you can include keywords or keyword phrases in your title, which are the words people use when they conduct Internet searches for topics, you increase the chance your book will be found during their searches. Nonfiction books often have quite long subtitles in an attempt to include as many search keywords as possible. Novels use this tactic in title and sometimes even in a subtitle as well more and more often. 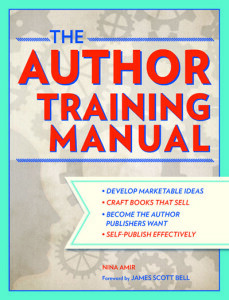 Training yourself to write a marketable title and subtitle represents an important part of Step #2 in the Author Training process. It requires seeing your book not just creatively but from a business perspective. The marketing team in a publishing house makes the decision about a book’s title. Like them, you must make this decision based upon what title will help you book sell the most copies not upon what you like. Successful books need great titles. Of course, to some extent you never know what will sell or why. Who would have thought books with titles like these would become big hits? You can try to increase the odds of your title helping sell your book. If you know what your book is about and its benefits, writing a title should come easily at this point. If you don’t know what it’s about, it will feel difficult. I’ve seen a couple of posts about book titles but this is the most comprehensive one that I’ve seen. Thanks, Nina, for the great advice. I’m definitely going to save this post for future reference and I’m going to post it in the APE Community on Google+. Thanks, Frances. I really appreciate your comment and you sharing the post. I’ll also let my editor know the info was well received (since it’s a blogged portion from my new book).